In light of the UQU's endeavors to fulfill the Saudi Economic and Developmental Vision 2030, His Excellency the UQU President, Prof. Abdullah bin Omar Bafail, launched the Vocational Diploma Program for Restaurant Management and Hospitality provided by the Institute of Consulting Research and Studies. This program was held in collaboration with the College of Business Administration and the Americana Restaurants Group, represented in Al-Ahlia Restaurants Company in Saudi Arabia, according to the work-based learning system (reciprocal learning). This method of learning will enable the students to acquire a unique learning experience by providing them with knowledge inside the work place and the University at the same time. Accordingly, this will fulfill the directives of the University towards establishing sustainable bridges with the local market and employers, and designing new study programs that fulfill the needs of the different sectors of the labor market, thereby providing our students with job opportunities. 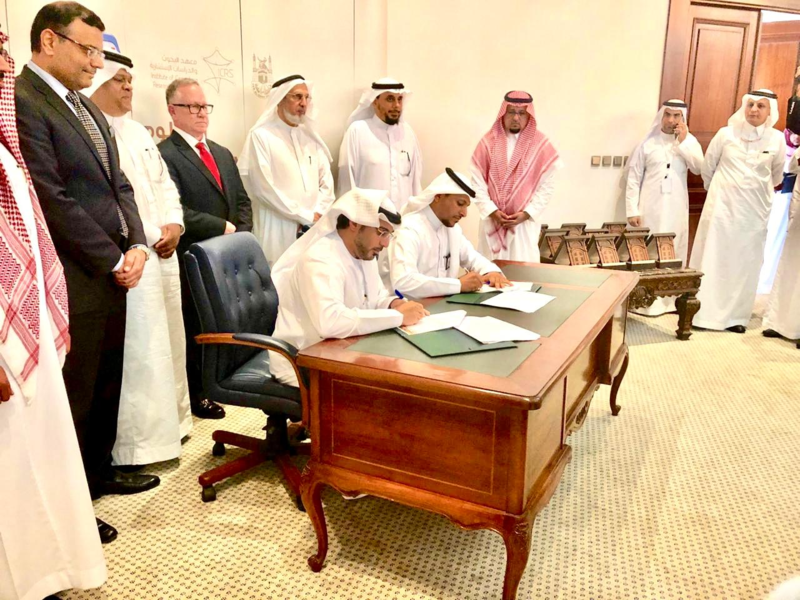 A cooperation agreement has been signed – thanks to Allah – between the Dean of the Institute of Consulting Research and Studies, Dr. Ali Al-Sha`iri, and the General Manager of the Restaurants Sector in the Saudi Branch of the Americana Company, Mr. Majid Al-Mil, on Wednesday, 13 Rabi` Al-Awwal, 1440 A.H. The meeting was attended by His Excellency the Assistant Manager of the Social Development Bank (Makkah branch), Mr. Abdul-Aziz bin Abdul-Hamid Bukhari; His Excellency the Makkah Branch Manager of the Human Resources Development Fund (Hadaf), Mr. Muhammad bin Jamil Naqru; and some of the managers of the Americana Group in the gulf countries and the Middle East, including Mr. Glin Hilton, Mr. Sai Ghandi, Mr. Majid Al-Mil, and Dr. Murad Malikah. 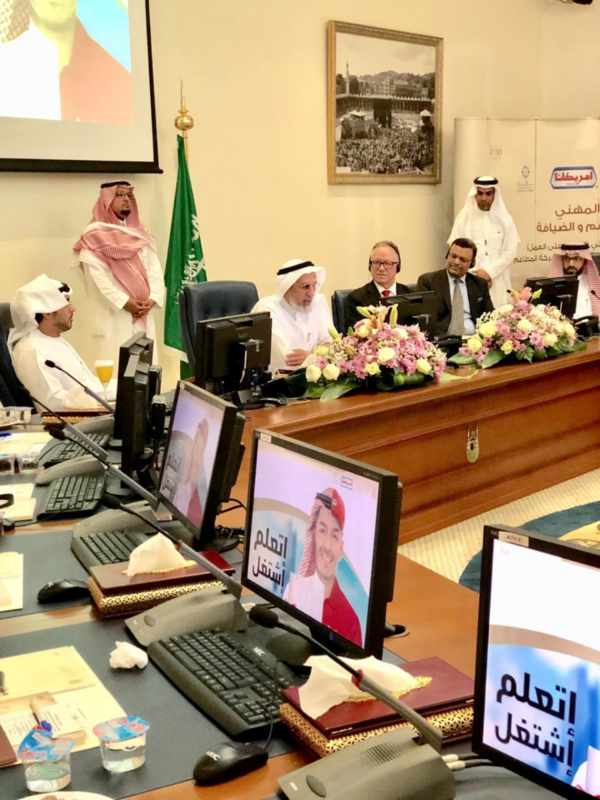 The meeting was also attended by the Human Resources Manager of the Group's Restaurants Sector (Saudi Arabia branch), Mr. Zakariyya Al-Hamud, and a number of the Company's guests. 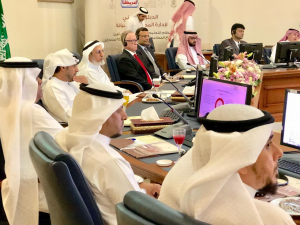 On the part of the University, the event was attended by His Excellency the Vice-President for Development and Entrepreneurship, Dr. Hani bin Othman Ghazi; His Excellency the Dean of the College of Business Administration, Prof. Ihsan Al-Mu`taz; His Excellency the Dean of Postgraduate Studies, Dr. Sa`id Al-Harithi; their excellencies the Vice-Deans of the Institute of Consulting Research and Studies; and the Vice-Deans of the College of Business Administration. The agreement signing ceremony included a presentation delivered by His Excellency the Head of the Department of Business Administration at the College and the Manager of the Vocational Diploma Program for Restaurant Management and Hospitality, Dr. Sultan Al-Harbi; His Excellency the Deputy Manager of the Program and Associate Professor at the College of Business Administration, Dr. Yusry Nabil; and the Regional Manager of the Human Resources Sector at Hardees Restaurants and of the Rapid Growth Sector at the Americana Group, Dr. Murad Malikah. The presentation included information on both the Institute and the Americana Group, the work-based learning system, the Vocational Diploma Program for Restaurant Management and Hospitality, and work methodology in the diploma. It is worth mentioning that the Restaurants Sector in the Americana Group manages eighteen brands, and has franchises across the Middle East and North Africa for many international brands, including more than 1800 restaurants, and 40000 employees. On his part, His Excellency Prof. Abdullah bin Omar Bafail appreciated this cultural and educational activity which supports the role of the University in holding strategic partnerships with the public, private, and non-profit sectors.